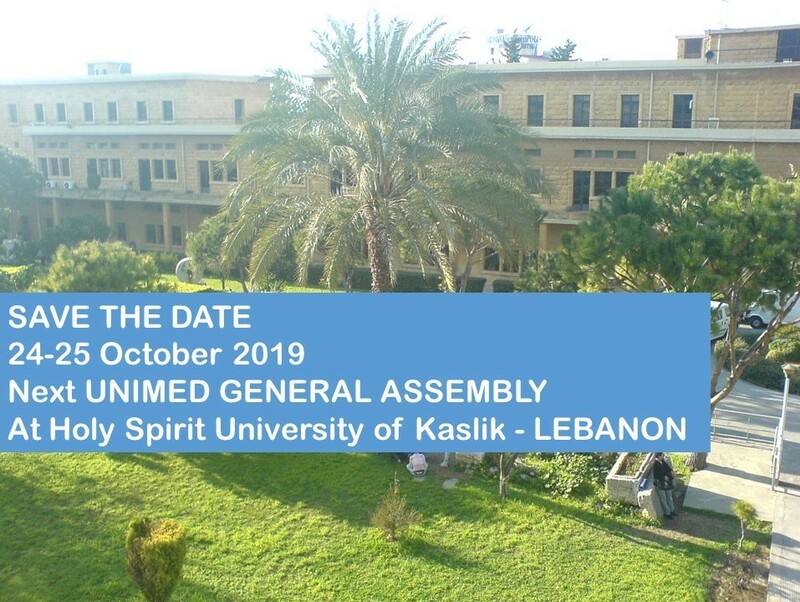 The next UNIMED General Assembly will be hosted by the Holy Spirit University of Kaslik in Beirut on 24th and 25th October 2019. The UNIMED General Assembly is a major event, which see the participation of the rectors, the delegates and the International Relation Departments and Offices of UNIMED member universities. As for the previous editions, the event will have several sessions dedicated to UNIMED activities and to future initiatives. The programme of the event will be provided very soon.